Can I sell beer, wine, or a bottle of liquor to go at my establishment in Montana? You can sell alcohol to go if your establishment holds an on-premises license, but only if you are selling the alcohol in its original container. If, however, your establishment has a restaurant beer or wine license, you can only sell alcohol to be consumed by the drink within your establishment to customers who order food. Can I pre-mix drinks (margaritas, etc.) and store them in a container to keep inside my cooler at my establishment in Montana? Yes! If you have a license you are permitted to store pre-mixed cocktails to be sold by the drink to customers within your establishment. Your customers cannot, however, take these pre-mixed drinks to-go. 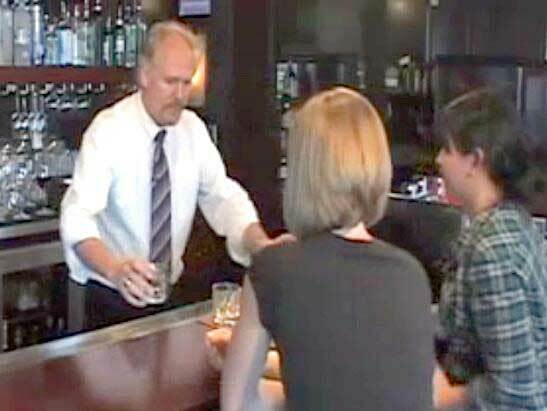 Can I sell alcohol to another restaurant or to customers who are seated at another restaurant in Montana? No. Depending on which Montana Alcohol License you have, you are only permitted to sell or serve alcohol to be consumed within your establishment or sold to the public to-go in the beverage’s original container. Can I sell caffeinated malt beverages in their original packages at my establishment in Montana? Only if you have a Montana all-beverages license. Can I fill growlers at my retail location in Montana for customers to take to-go? No. Only breweries are permitted to fill or refill growlers. However, you may sell growlers that were filled and sold to you by a brewery. We hope this Q&A post has been helpful! If you would like to learn more in regard to Montana’s Alcohol Sales & Service Laws, we welcome you to check out our Online Montana Department of Revenue approved Montana Alcohol Server Education Certificate Course whenever and wherever is most convenient for you! And as an added bonus you’ll receive a Montana Alcohol Server Certificate at the completion of our course which will be valid for three years and is mandatory for all alcohol sellers and servers to hold in Montana State.